Thanksgiving and Christmas tend to be holidays where people eat, drink and relax. New Years and the resolutions that come with it are known for the opposite – this is when people want to change their lives, get in shape and better themselves. For that reason, a lot of retailers now put deals on fitness equipment in the pre-xmas period. They know gym memberships and fitness products will sell like hotcakes once New Year comes anyway, so the best time to capture extra sales with good deals is BEFORE then – namely starting from Black Friday. Today we’ve collated a bunch of treadmill deals for you. 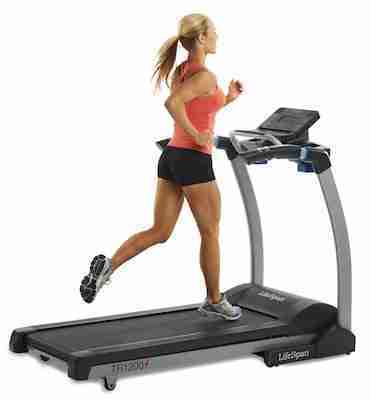 Treadmills are one of the most popular fitness products in existence and a great choice for cardio or weight loss. They’re also quite big and the price-tag can range from around $100 for a basic model right up into the thousands for top products. With such a big price range, you can get some amazing deals on the more expensive items on Black Friday. The ones listed below are great products which could well be discounted and are popular choices. We’ve also included a brief breakdown on each pick – read on! Weslo have come up with a solid low price treadmill with their G 5.9 model. It compromises on a few features to pull this off though, so not everyone will enjoy it. The running area is a bit smaller than most treadmills, measuring 18″x54″. That might sound like a lot but try and see how many inches apart the outsides of your feet are when in a comfortable standing position. Likewise check your stride length. You’ll soon see that 18″x54″ can be cramped for larger builds and even many average sized users. A warranty of only 1 year on parts and 90 days on labor doesn’t inspire confidence either. Weslo products aren’t known for being the sturdiest though they aren’t too weak either. This could be a good choice for somebody who doesn’t plan on using it intensely and who would like a cheap model for a year or two before looking at something better. On the plus side, the weight is low and it has a small footprint, so it doesn’t take up much room and is easy to move as well. It folds up too, making it the Weslo 5.9 even better for tight spaces. The smaller size and weight do limit the weight capacity of this machine to 250 lbs as well though. There are some pre-programmed workouts available, six in total, and some basic features like heart rate monitoring and drinks/phone holders. That’s about all though. Incline can move through two settings (1.5% and 6%) while speed can be moved from 0.5 – 10mph. The limited speed is another factor which makes this better for beginners. The top complaint with the G 5.9 though has been noise. The motor is said to run very loud once it starts getting up to speed, which might be a problem for some users. 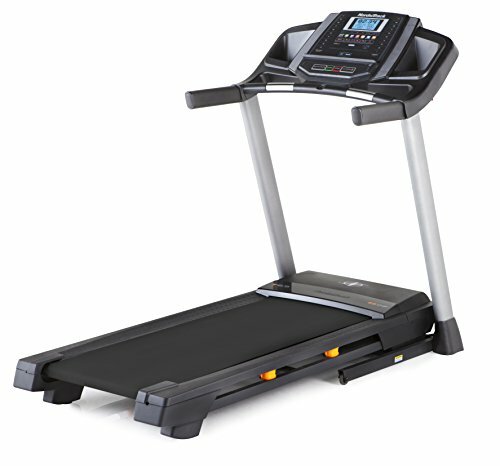 The NordicTrack C590 is a bit of a hit and miss treadmill. This model suffers mainly because of reliability issues. People who get a properly working version of the C590 are probably going to enjoy a good, useful treadmill. It’s limited on speed and incline to 10mph and 10%, which aren’t really all that high. This makes it good for beginners and intermediate runners, but not advanced users or people with specialist needs. 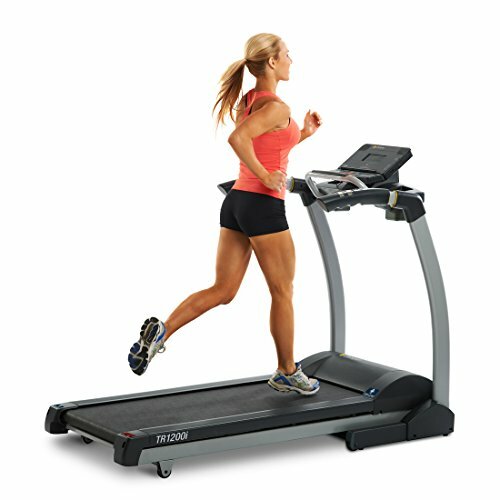 The cushioning system is great on this NordicTrack treadmill and does a wonderful job of saving your joints from impact. Motor is reliable though the warranty is only 1 year long. Noise isn’t much of a problem for this unit either. The running surface isn’t the smallest but it isn’t very big either. Some users also have had problems with buying a unit that didn’t work. NordicTrack does offer an exchange if this happens though again there have been a couple of complaints around slow deliveries or delays for replacement. It’s unclear whether this is down to NordicTrack or middle-man retailers though. Outside of the limitations, the C 590 can be a good, reliable treadmill. There are 20 pre-programmed workouts and plenty of customization options. The XTERRA T150 is a true budget treadmill. A decent percentage off this item will make it a really cheap unit for any first timers out there. It can match some mid-range treadmills for features, such as having a 10mph max speed. It’s also got adjustable cushioning, a folding frame and Bluetooth connectivity. The TR150 even has a fan and speakers built into this great looking unit. Obviously with all these benefits on a budget treadmill, it has to have some limitations too. The incline can only be switched between a handful of pre-sets and there aren’t any easy access buttons on the arms for speed/incline either. You’ll need to be on top of your maintenance if you want this unit to last as well. Creating your own workout sessions is helpful because the TR150 only has a few pre-set workouts. This one is a real top of the line model and great for all levels of user. The Assault Fitness Air Runner uses a motorless, curved deck. It’s powered by you running on it, with the curve allowing you to run without coming off the deck. On a flat deck, you could come off the front or back when speeding up or slowing down. A curve allows you to do either without coming off. Of course it’s still best to adjust your speed in a controlled and gradual way. The best thing about this design is you can pretty much go at whatever speed you like, and it gives a much more realistic workout than a motorized treadmill. The need to manually push against the floor (deck) will force better form and body alignment than a motorized treadmill would. The Air Runner gives a great workout and has plenty of reliability too. Black Friday is the name for the day after Thanksgiving, which always falls on a Thursday. The name ‘Black Friday’ has only been used for the last couple of decades, but the history of this day goes back to the 1950’s. Since then Black Friday has been considered the unofficial ‘start of the Christmas shopping season’, with many people also being given the day off since they already get Thursday off for Thanksgiving. In fact, many places originally named it ‘Black Friday’ because so many workers would call in sick to have a 4 day weekend. In the past retailers, would try to take advantage of the holiday and the start of Christmas shopping by offering special deals on this day. They would also open earlier and close stores later, giving more time for shoppers. As the day became more popular with shoppers, the ‘Black Friday’ term began to stick and even more retailers began to offer special sales. This ‘competition’ of sales led to even more popularity and the day became an event in itself, a day full of madness and crowded shops as people rush to get the best deals before stock runs out. As you can tell there’s a lot of variety in the home treadmills available to you. The first thing to do is figure out your needs. That’s how you narrow down your range. Then you can pick the right treadmill for you based on what the offers are.